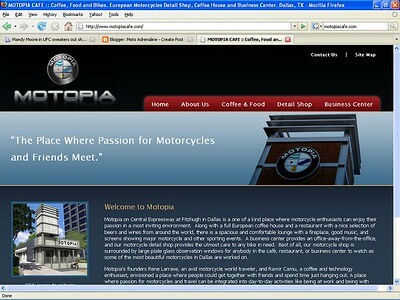 Moto Adrenaline: MOTOPIA CAFE - A cool place to hang out. 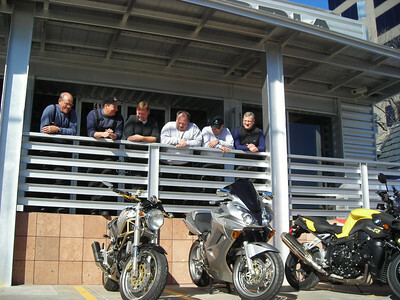 MOTOPIA CAFE - A cool place to hang out. 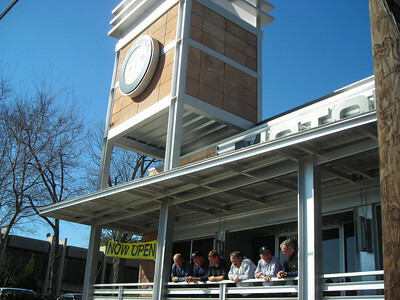 We decide to go and check out the new coffee place in Dallas that according to it's website catering to the motorcycle enthusiast who can enjoy their passion in the most inviting environment. They are correct on all fronts. The place is clean, trendy and very moto friendly. The staff was delightful and always smiling. it was chilly in the morning so I bundled up and made sure I as warm as possible for the ride down to the coffee shop. Vern, Rob, Jackie, Dave, Traci, Herman and Jamie and I all joined up to check out the new place. We spoke with one of the owners and he made us feel very welcome. Leslie was a treat as she took care of all of our needs. It was a great way to spend a Sunday morning. 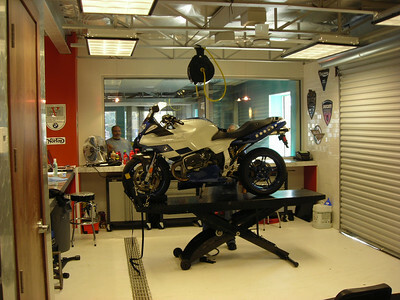 They even have a place to detail your bike. Dave took advantage of this and his boxer cup looked great after they were finished with it. As we all know Dave is not one to really "fuss" over the cleanliness of his motorcycles. Dave's bike on the lift getting it's first bath in months, maybe years. 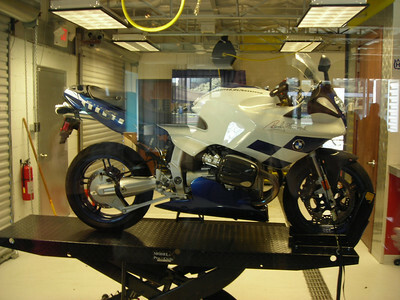 They have a great place to detail the bikes. some would say this is our best side.. Till next time C-ya.